Looking for a USED BHC 100/3000? 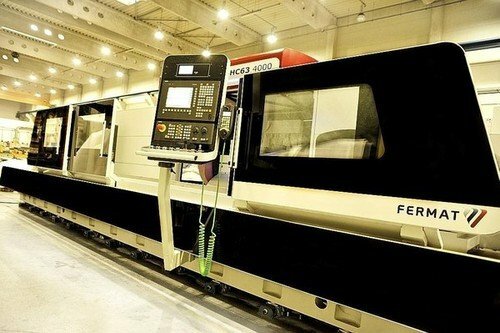 BHC 63 CNC is a fully CNC controlled grinding machine with control axes X (infeed of wheel head), Z (longitudinal feed of table), program-controlled of work head spindle revolution C.
FERMAT company is a professional Czech manufacturer of Horizontal Boring Machines. With its products Fermat intensively expands into new markets all over the world. Fermat is also one of the leading international distributors of USED or Refurbished metal working and processing equipment, such as horizontal boring machines, grinding machines, lathes, vertical lathes etc. Group Fermat is a group of companies that provides our customers with various service. Overall Fermat works in modern manufacturing and storage facilities with a total area of more than 30,000 m2 and employs about 500 skilled employees. 54 ModelsView more about FERMAT CZ s.r.o. Looking to Purchase a New FERMAT BHC 100/3000?